Following the recent announcement from the Minister for Economy, Science and Transport to fully re-open the west bound slip road of junction 41, Labour AM for Aberavon, David Rees has asked the Minister for confirmation of the timeline for her final decision. He stressed that the people and businesses of Port Talbot have welcomed the decision, but the statement has left uncertainty about the future of the junction. David Rees AM said “This week we have seen the junction re-opened and the traffic chaos experienced by local residents has substantially diminished allowing our communities to return to normal for the first time in 10 months. All roads, including the M4, are flowing smoothly and people now want the permanent re-opening confirmed. I have called for the Minister to give a definitive timeline for a final decision to give people the certainty they need on the future of this junction. Since the part-time closure started in August last year residents of Port Talbot have seen their roads become clogged due to the increase in traffic as drivers looked for alternative routes to and from work during the closure. Campaigners from across the town have continually opposed the trial and called for the Welsh Government to halt the closure and return the roads to the people of the town. Local businesses have also reported reduced trading and have said that the town centre has effectively emptied after 3:30pm since the trial began and now hope to see business pick up once again. 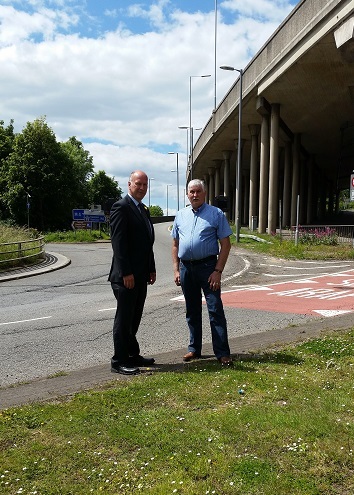 Mike Hutin, Chair of the Campaign group to stop the closure of Junction 41 said, “This week has seen a remarkable change for everyone travelling around Port Talbot between 07.00 – 09.00 and 16.00 – 18.00, traffic is once again able to move freely. We welcome the Minister’s decision to end the trial closure and are hopeful that Mrs Hart will consider all other alternatives when she reviews the data that her department has collected.